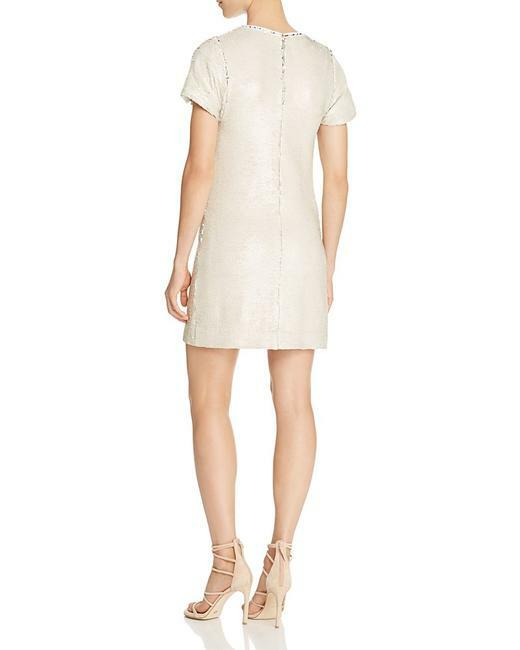 New Rebecca Minkoff Lynx Sequins Dress. Retail $278.00. Size: 0/US. Color: Silver/Gold. Round neck, short sleeves, allover sequins. Exposed back zip closure, lined. Polyester. Lined. Approx. 33" from back of neck to hem, based on a size small. Fits true to size. Dry clean. Imported.